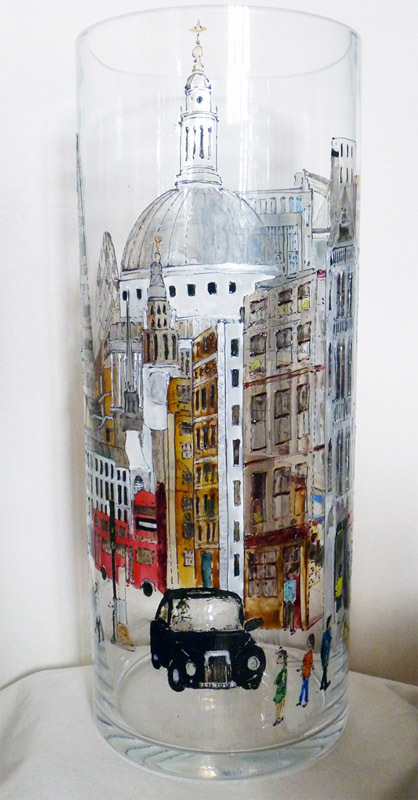 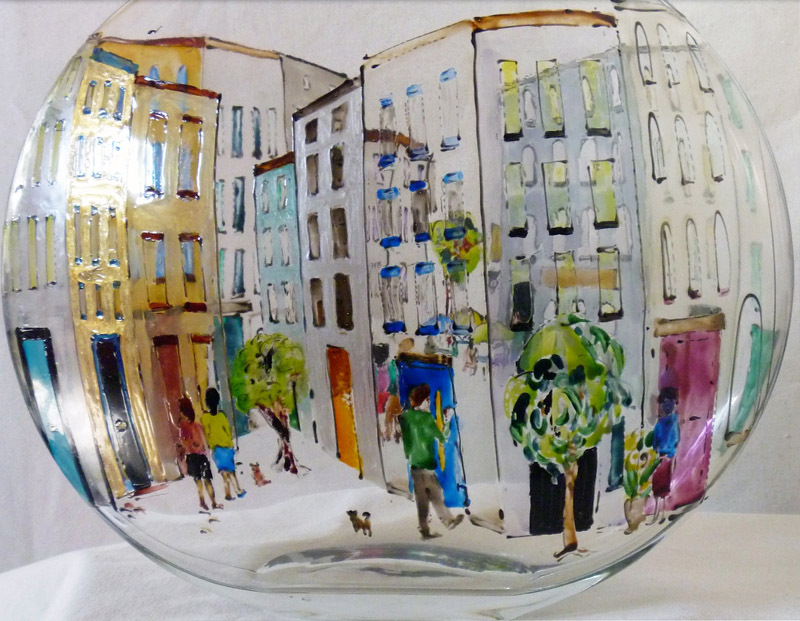 Midlands–based artist, Lindsay Jane Lloyd has taken inspiration for her incredible glass painting from an international background. 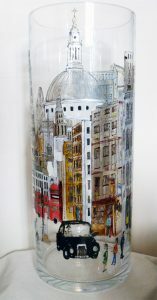 Lindsay has developed a passion for architecture and cityscapes, with a curiosity for the inhabitants. 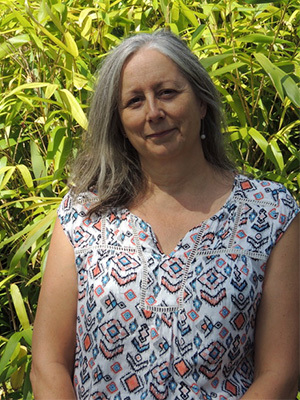 Lindsay has a natural affinity for colour, shape and form coupled with over thirty years’ experience as a painter. 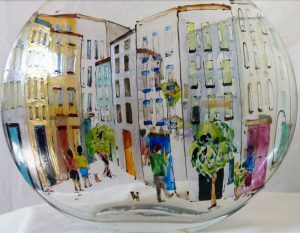 The secret to her international success as an artist results from the exquisite interaction of light and colour on glass, giving the illusion of perspective. 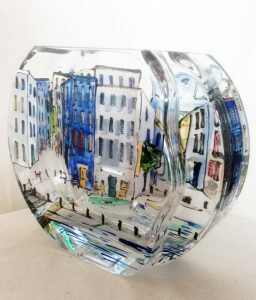 The process of her artistry begins with a repertoire of photos, sketches and memories from an array of locations, she then sources the appropriate glass vessel. This can be exemplified perfectly in her Barcelona vase with an organic form, echoing Gaudi’s architecture. 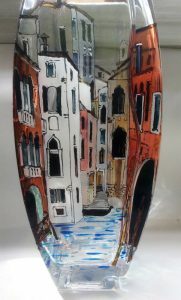 The magic begins with Lindsay’s finely-honed technique of painting on glass, captivating scenes and creating moments in time. 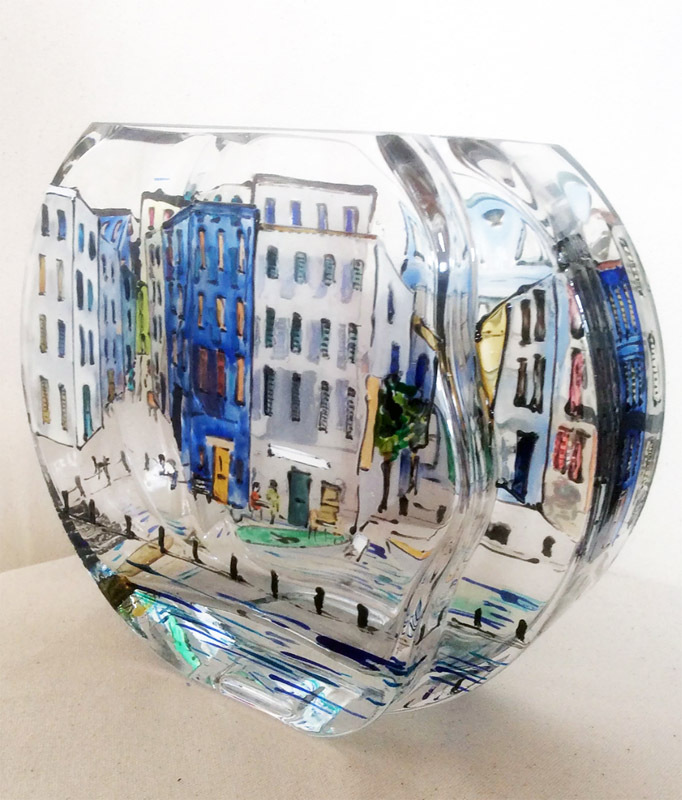 Clients around the globe have been thrilled with their purchases, particularly those privately commissioned pieces.